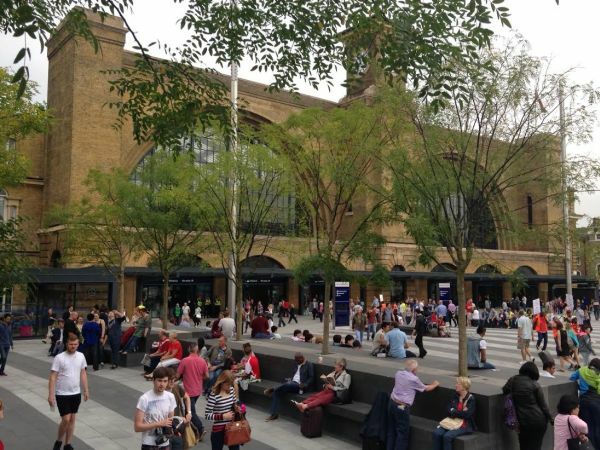 King's Cross Square is a very impressive entry to London for travellers passing through the terminus of that name together with the next door St Pancras International Station. In total it has said to have cost £3bn but there is little doubt that key part of the metropolis has been transformed from a run down, very shabby area, into a quality gateway. 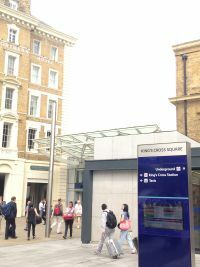 In March 2012 the new King's Cross Station public concourse was completed just in time for the London Olympics. 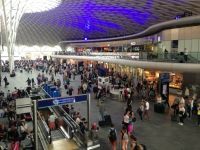 It is the largest single span structure in Europe and on a busy day is vibrant with the booking hall, shops and food outlets on the ground floor and a selection of restaurants, a large Marks & Spencer plus the First Class Lounge on the mezzanine. East Coast operates all the way to Edinburgh/Inverness, First Capital Connect covers the north to Peterborough, and also Cambridge (but loses its franchise in September), First Hull serves the city of that name, whilst Grand Central speeds to Yorkshire. St Pancras railway station was opened in 1868, a breakthrough in railway terminus design. It has seen bad times, the adjoining hotel, now a Radisson Renaissance, nearly lost to demolition in the 1960s, and saved through a campaign by poet Sir John Betjeman and others. The station was rebuilt in the first years of this century culminating with transfer of Eurostar from Waterloo in 2007. The restored structure has 15 platforms, a shopping centre and a bus station. Foyles the bookshop has a store and there are no less than 25 food outlets. Eurostar is the major rail tenant. Using the same tracks Southeastern runs high-speed trains to Kent. Midland Main Line serves Leicester and Derby and the Thameslink operation (under new management from September) goes as far north as Bedford, to South London, and onwards to Gatwick finishing at Brighton. Major engineering work has been completed to join the Brighton line to the Peterborough/Cambridge network but the new services are not due to start until 2017. Travel writer Simon Calder has described St Pancras as "the world's most wonderful railway station". It is very clean, has free wi-fi and is a pleasure to use. Underground the Hammersmith & City, Northern, Piccadilly and Victoria lines sit under the two-station complex, the whole site having been rebuilt since a disastrous fire in November 1987 which claimed 31 lives. If it is raining and you need to transfer wide walkways run under the road. Access is provided at all levels for those with walking difficulties or heavy suitcases, but you need to know your way around and to look out for signs. One carryover from London 2012 is the attitude of the station staff. Everyone wants to help and point the way. A vast improvement on years past. Further regeneration is under way at Granary Square to the north of both stations with the Regents Canal running through the centre. Trendy eating places in refurbished warehouses mix with the most modern of office blocks. It is not all complete yet but as the new tenants move in it is going to get busier and busier. Google’s new European headquarters will occupy a 920,000sq ft building, with a swimming pool and a running track on the roof for its 5,000 workers. 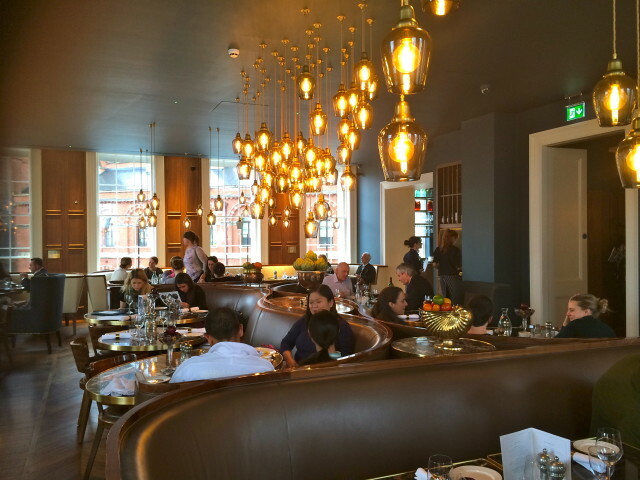 The entirely restored Great Northern Hotel, which overlooks King's Cross Square, perhaps epitomises just what has happened. Originally built in 1854 as London’s first railway hostelry by the 1990s it was completely rundown. A £40m comprehensive renovation programme has turned it into a top class termini property, more than competing with the (expensive) Marriott Renaissance next door. 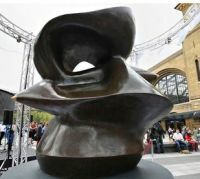 The hotel actually forms an integral part of King’s Cross Station, with the signature dome of the new Western Concourse designed to fit the crescent shape of the hotel itself. You do not have to be a resident to use the excellent Plum + Spilt Milk restaurant on the first floor. The hotel is quickly becoming popular for small business meetings. And no need to go outside and brave the elements if the weather is dour. St Pancras is accessible without getting wet. Still very much under wraps (literally) and sited between the two stations is the German Gymnasium, a building rich in character and steeped in history. Built in 1865, the Gymnasium hosted some of the the indoor events of the first National Olympic Games. This elegant building is being sympathetically restored to house a contemporary restaurant venue. It is impossible to know exactly how many people use King's Cross/St Pancras in any 24-hour period. Let us say it is a lot and could be 80m per year in and out of the stations, onto the Tube and the buses and using taxis. It is probably the busiest people concentration in London on a daily basis, maybe the world.